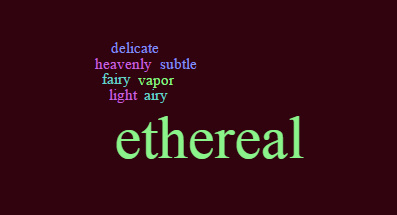 For your writerly inspiration this week, instead of an image, I offer you a mini word cloud. I often use “the word of the day” to inspire my writing when I find myself without an idea. Here is a word of the day, of my choosing. I often find that I use a word and then hit up a thesaurus for similar words. See if you find this/these word(s) pop up in an everyday situation or maybe notice it/them visibly somewhere within a moment. 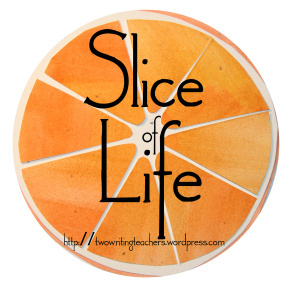 Share your slice and enjoy the slices of others! On another note, tomorrow is the last day to vote. http://archermom.blogspot.com/2015/12/today-tuesday.html Is it wrong to hope for a two hour delay so close to break? A blurb about video game influence the creative process. What are your best thoughts on staff meetings? Stuck in a car for several hours gave me time to blog on a cell phone about trying to find peace in the chaos: https://meanderingmaya.wordpress.com/2015/12/15/peace-in-the-chaos/. What a night! Lights at a Botanical Garden cast a spell. My three year old son is teaching me about the magic of Christmas. Okay, we goofed off a little today after digging out of a foot of snow w/out a snow day. How much should we push our kids to be “school ready” by Kindergarten? I voted. I hope you win. Not sure if my responses have been posting. Can someone let me know??? I got hit by package thieves last week. I wish I could vote more than once. Your blog has been an inspiration. My slice is just a cute story about lunch with my grandson, Lucas. My vote is cast for all of you with a huge thank you for all that you do!!! Thanks also for today’s idea about using a word of the day and its synonyms to inspire some writing. I will definitely try this! Finally, I’ve written today about an unexpected photograph. Our vote is in!!! 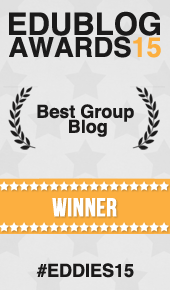 TWTBlog is an amazing resource to us all — you should win!! With 10 days left in this year, it’s time to revisit my #onelittleword . . . Spending our first Christmas away from home…in the land of Christmas!